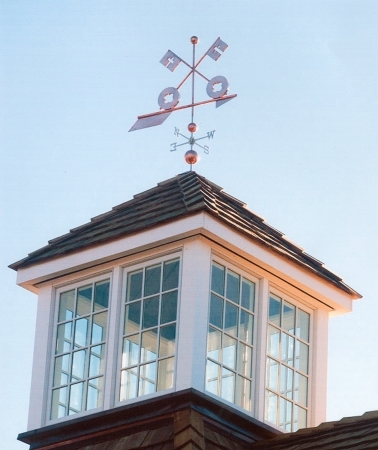 This Church Keys Weathervane was commissioned by a parishioner of the St. Peter’s Lutheran Church located in Lancaster, PA. 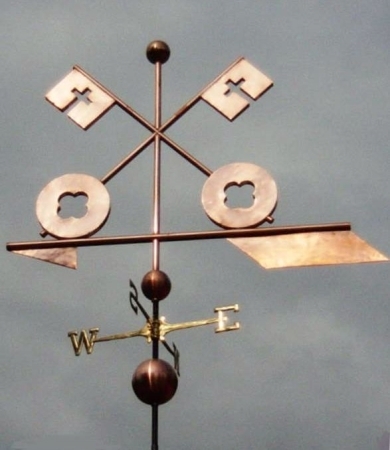 It was a challenging project in that we were creating three dimensional flat surfaces on the copper keys. Our wonderful artisans enjoyed the process. For proper scale with the building the church ordered this vane in a large. 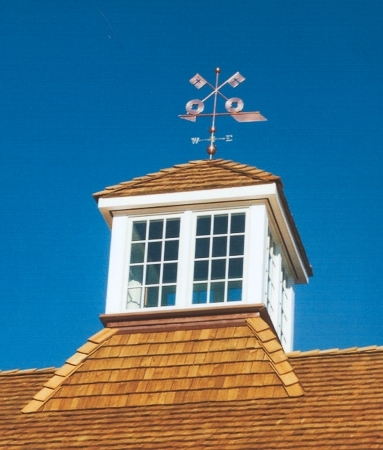 Sizing a weathervane is important and we will happily assist you in deciding which size will look proper in your location.